One item I left behind in Dallas when I came over here to London was my trusty pair of UGG® boots that I wear every winter. It may have been the dumbest move ever. With the amount that I’m walking over here (even to the grocery store or to my workout classes), it’s necessary to have warm and comfortable shoes to wear when it’s freezing in the morning! Sneakers just won’t cut it. So when the temps dropped a few weeks ago, I ordered a brand new pair! I opted for the Samantha boot. 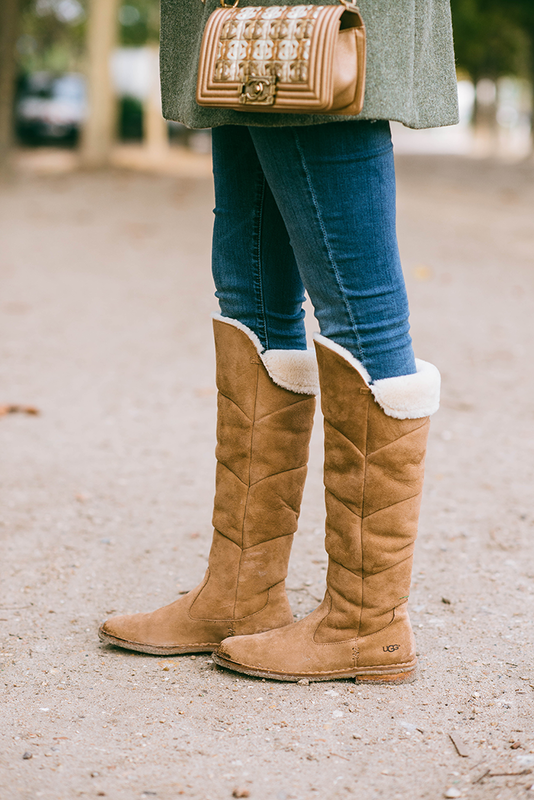 It’s got the sleek look of an over-the-knee-boot while maintaining the soft comfort of shearling UGG® is famous for. 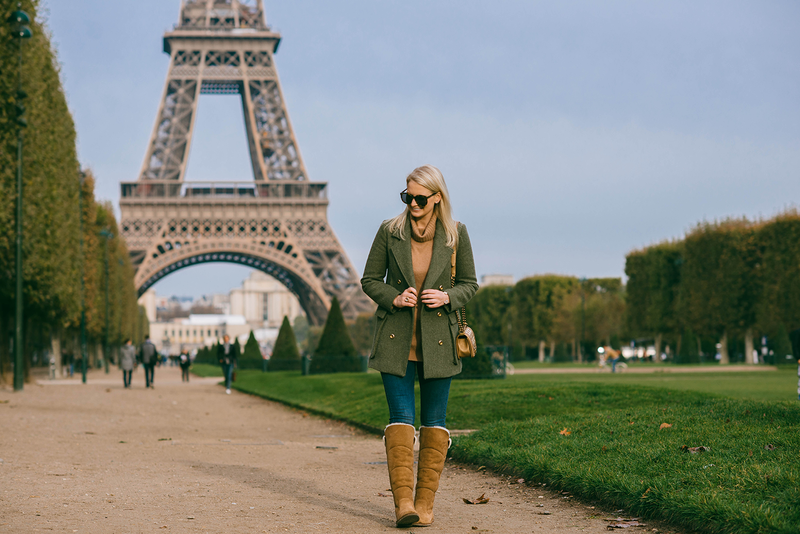 I also love how you can wear these boots a bunch of different ways – I flip down the back for more of an over-the-knee look, but you can leave it straight, pull down both flaps, or pull down the entire boot to expose the shearling. Very versatile! 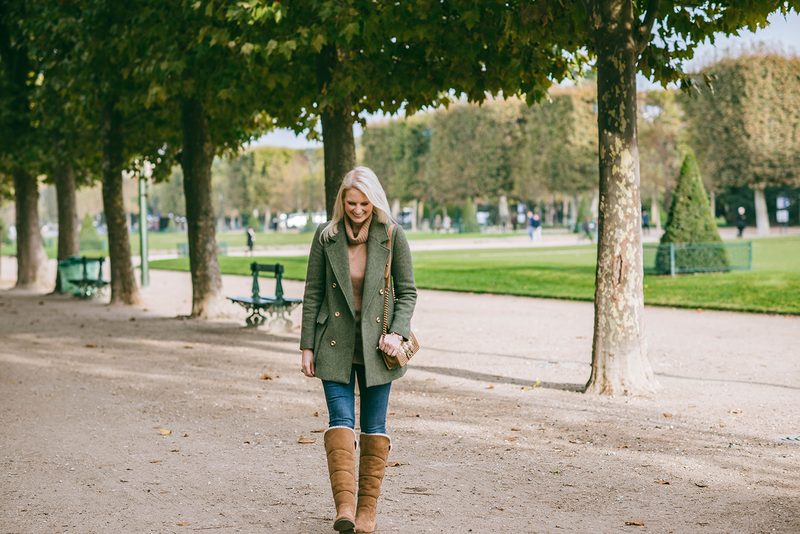 The Samantha boots were a wonderful option for wandering around Paris last month – they kept my feet cozy and happy all day long! They’d make an excellent holiday gift for the gals in your family. Check out more of my UGG® gift ideas below – click on each image to shop! Gorgeous outfit- those boots look amazing! Omg love the Uggs with the cute bows in the back! Added to my Christmas list! Love this chic & casual look! Cute and cozy! Love the knee high style! Those boots look so cozy! But can we talk about your bag?? So pretty! 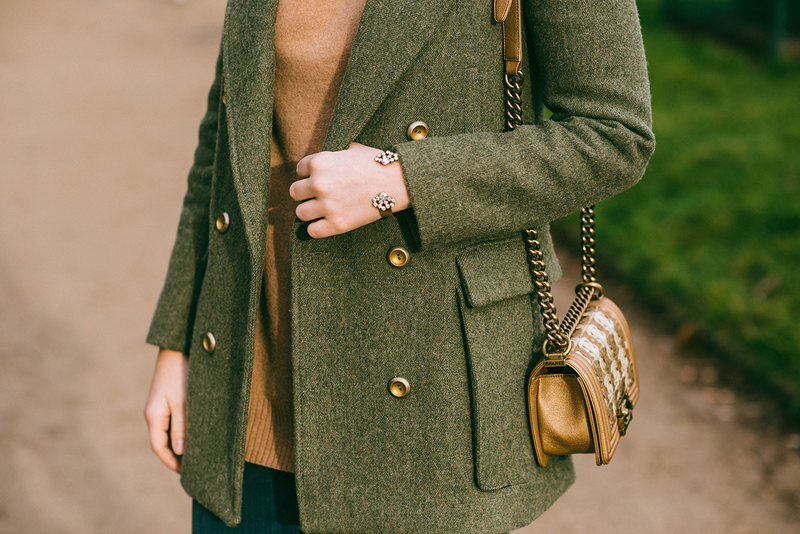 Such a gorgeous coat! I love the shade of green & gold button combo. Also, I really like this style of UGGs! 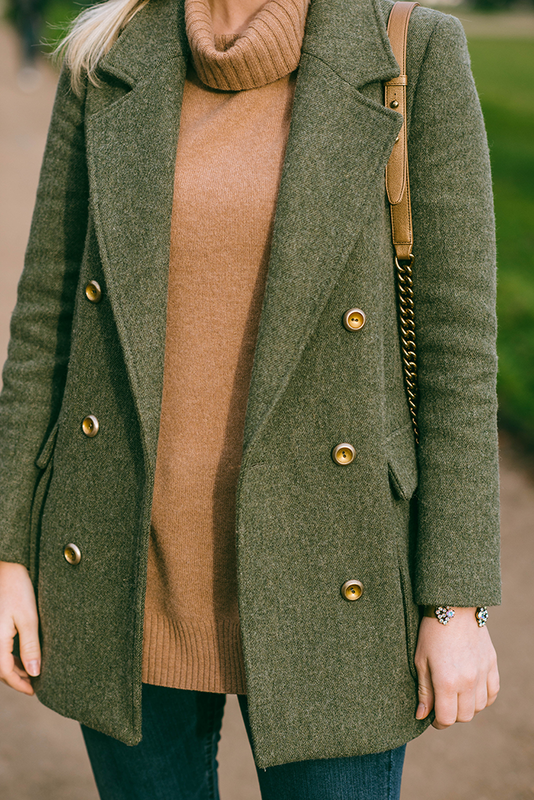 Stylish & warm, can’t beat that.